Discussion in 'Notices' started by jonnieboy101, Jan 1, 2018. I hope you all had a great 2017 and continue to smash your dreams and goals throughout 2018. 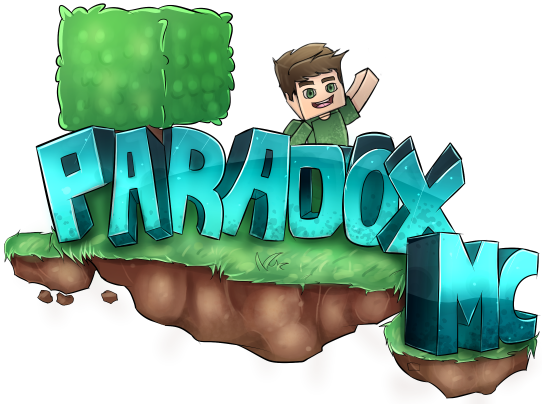 I can assure you, 2018 will be an amazing year for us all, especially with ParadoxMC on it's way! On a serious note, forget about 2017. This is 2018, and I want you all to make it a memorable and thoroughly enjoyable year. I would just like to thank all of you for being apart of this community. ParadoxMC has lead me on the craziest journey I could ever have imagined. First of all, I would like to thank Promotionz as ParadoxMC would not have existed without him. A few years ago, I played on a server named PrimeMC - some of you may know this server. On this server, I met a few people that I will never forget (Promotionz and Wardly). Promotionz owned a server named ReloadMC and so I started playing there. We became great friends and after a couple of months Promotionz was helping me set up my very own server. We named it ParadoxMC and launched 1.0. ParadoxMC rapidly gained a small, but nice community. Since this moment, ParadoxMC has had its ups and downs, but the amount that I have learnt since the beginning has been so unimaginatively large. I was not expecting to learn so much so quickly and this has opened me up to a completely different world that I never knew existed. I am very thankful for Wardly, Yurn and TheWolfRevenge for always being by my side and for your continued loyalty which is very much appreciated. And finally, I would like to say a massive thank you to everyone who is reading this right now. Without your support and encouragement, ParadoxMC would not have progressed this far. Promotionz, Techtic and goneaway like this. Consider this my first reply to a thread on the forums. Anyways, it's always great to be apart of a growing community. Jonnie, you are amazing, you put so much work into this and I want you to know we all appreciate it! I wish you an amazing 2018!! This is the best community I ever met. No toxicity or people who keep swearing. Can't wait for Paradox to get released! Thank you for your kind words Wolf <3 Have a happy new year! Its me Rebel_Fishy if you could send me the discord link. Thanks so much I have missed this place!